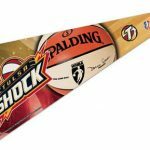 Our Tulsa Shock Pennant is a great way to show your WNBA allegiance in your sports room, game room, office, bedroom, or any room by displaying on any wall! These Pennants measure a full size 12″ X 30″, are made of Felt Wool Blend, and are single-sided Screen Printed with the insignias and logos, as shown. 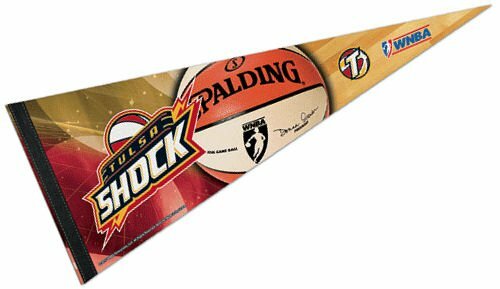 Each Tulsa Shock Pennant is Officially Licensed by the selected team which insures current insignias, wordmarks, and authentic colors. 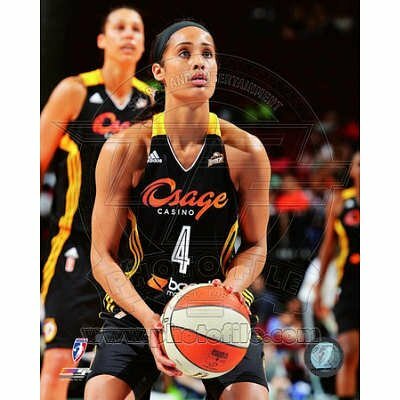 The WNBA pennants also include a pennant sleeve on the left side which can be used to insert a pennant stick, if desired.